If you ever plan an adventure of bow hunting, you will undoubtedly have this dilemma: which broadhead to choose? With so many options and brands of broadheads driving-in in the market, it becomes hard to pick best broadheads! 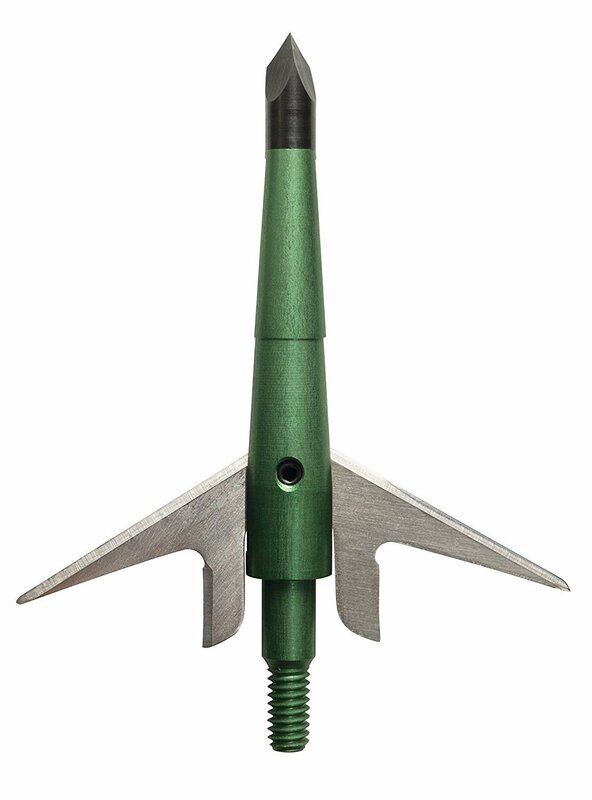 Each broadhead comes with its own advantage and serves a specific purpose of hunting. To learn which type of broadhead will suit your needs best, let’s study their types and go through Top 10 Best broadhead reviews for 2018. Without further ado, let’s begin. These types of broadheads have to fix immovable blades, generally made up of single-piece of an alloy. The blades are anchored at the front, back and all along the ferrule of the head. These blades can be sharpened or replaced easily when pulled out. Structure-wise, such broadheads carry immense power and are capable of cutting through hard hides. However, their blades are bare and this might cause a little bit of inconsistency during flight, especially when it’s windy out there! That’s why, such broadheads have a small cutting diameter, to improve its flight issues. Blades of mechanical broadheads are firmly locked during flight, only until its tip enters the body of the target. As soon as the blades hit the target, they expand and open up to its full cutting diameter. Mechanical broadheads are capable of creating deadly wounds since its blades can spread out to la arge extent. They are ideal for creating massive internal wounds and bringing down the target in no time. 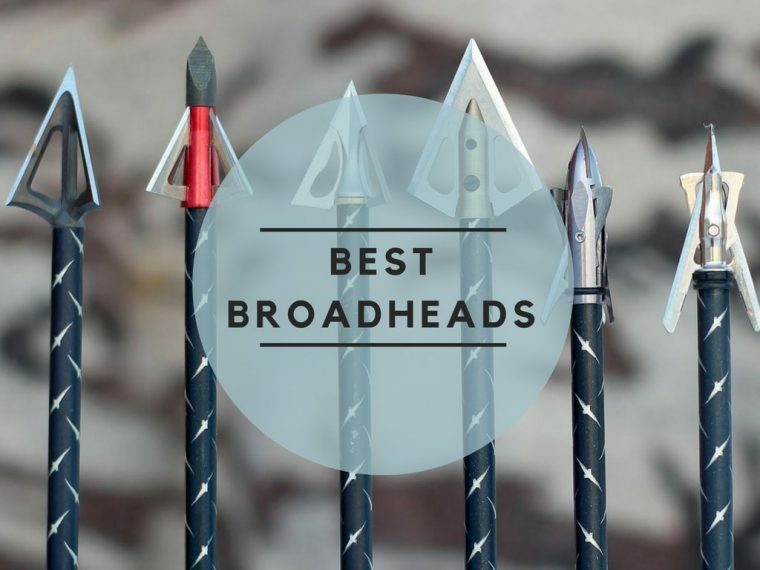 Such broadheads are heavier than others and tougher than fixed broadheads. Nowadays, the “rear setup” mechanical broadheads are very much in trend, as they provide better impact during penetration. The main con with such broadheads is the failure of the deployment system. Sometimes, the blade might not deploy fully after penetration, thereby ruining your catch. Blades in such heads are more likely to break because they are connected to ferrule with just one anchor point. Hence, are more fragile than fixed broadheads. The main aim here is to break, pierce and rupture the bones with a considerable amount of force. Chisel-style tip broadheads have specific “chisel” type of design that first forms a contact and then tears through the game directly. 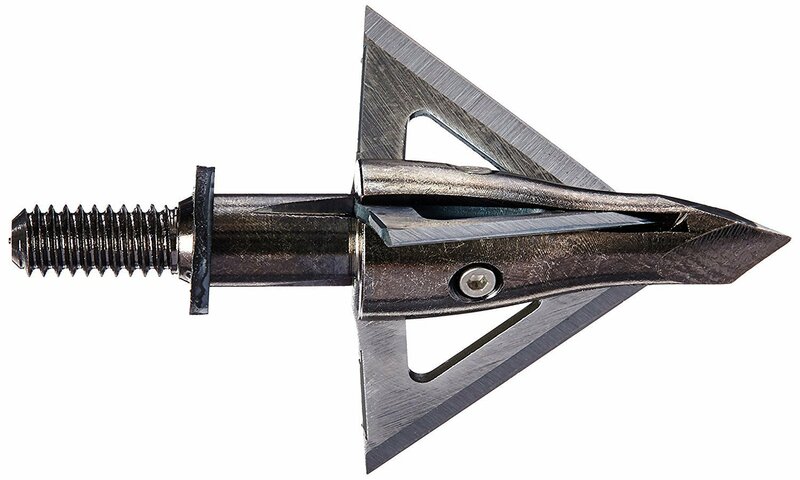 An accurate shot made from this broadhead can cause the arrow to pass through the body and exit from another end entirely. Such design is highly reliable and can penetrate even through thick bones. 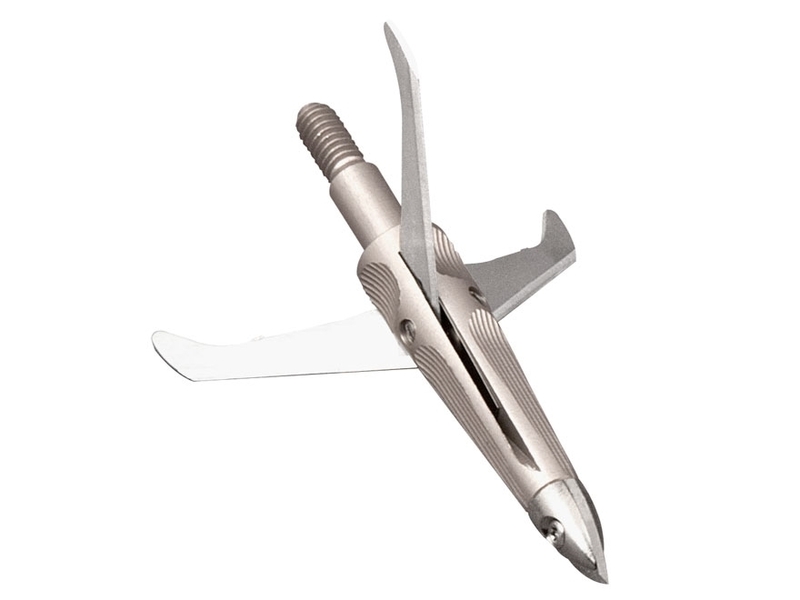 Cut-on-contact tip broadheads have very sharp blade tip and can cut effortlessly through the flesh. They are best suitable for bows having low draw weight. They might not be able to penetrate as deeply as other broadheads. But, the flesh-slicing is very effective even with less backing force. As you can see, the Carbon Express XT Dual Blade Serrated Crossbow broadhead has a unique and tactful design. As compared to traditional blades, the 6 blades in Carbon Express XT can cause wound damage by up to 250% more. The space between the blades is precisely configured, such that the main blade curves over all the remaining blades. Which is why the broadhead becomes more aerodynamic and covers more distance. These crossbow broadheads are available in both 100 and 125-grain sizes, the later one offers excellent penetration. Coming to its blade design, the stainless steel serrated blades create 1.125” cutting diameter. The ferrule is made from aircraft-grade aluminum and the head is compatible with carbon as well as aluminum crossbows. ​Customers have found Carbon Express XT to be noteworthy in performance as well as durability. The most excellent feature about these fixed broadheads is its flight. They fly true, just like field tips, do massive damage and allow for a clean kill! Users have absolutely loved the deadly design of the blade and say it's worth every penny! Carbon Express fixed broadheads are engineered to excel in performance, precision and innovation. Six cutting edges do maximum damage and can deliver up to 250% greater wound opening as compared to traditional heads. Meaning, there will be more significant blood trails and ultimately a quick kill! If you are going for hunting you need to have a great spotting scope check the best available in today market Click Here! The Wasp Jak-Hammer Broadhead is the most popular mechanical broadhead amongst bow hunters. Time-tested design of this head features Stainless steel Trocar tip. This tip has been hardened and precision-machined to Rockwell 46C to endure rough situations. Moreover, 0.036” thick blades are precision-ground to blast through bones with much ease. Wasp Jak-Hammer Broadhead has been integrated with Neoprene O-Ring deployment system and creates a 1.75” of cutting diameter on impact. The smart design of the blade matches field point accuracy and the penetration achieved is just lethal! ​Customers have found Jak-Hammer to be best mechanical broadhead due to its rock solid configuration. It produces massive entrance and exit holes and flies extremely true! 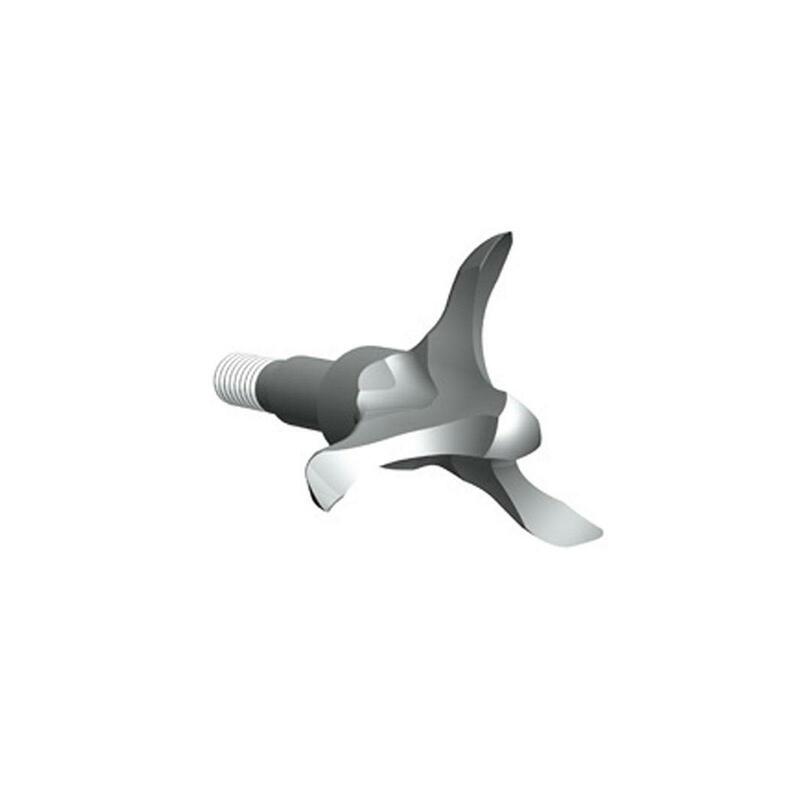 WASP Stainless Steel Broadhead comes with Stainless Smart Tip (SST). The edges of this Trocar tip are engineered with raised stainless steel blades. This creates a straight cutting path and creates a gaping wound channel due to extreme penetration! Slotted ferrule minimizes flight problems and promotes true/straight flying. 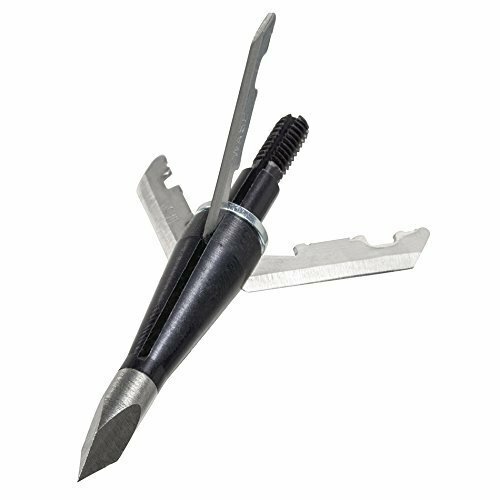 Remarkable Chisel-style tip of the Spitfire 60-234 performs way better than any other mechanical broadhead. Spitfire, just like its name, flies straight and offers pinpoint accuracy. Ultra-sharp Diamize blades are durable enough to withstand harshest of conditions. With 1.5” cutting diameter, these mechanical broadheads pass throughout the target with devastating wound channels. Hardened trophy tip point is what gives bone-crushing penetration and leaves massive blood trails. Diamize blades are razor sharp, each having 0.030” thickness. ​Matching the accuracy level of field points, customers love these mechanical broadheads due to their excellent accuracy. Spitfire from a NAP is hands-down one of the best mechanical broadhead as they fly straight like field trips and the impact is just deadly! If you are looking for devastating and sturdy mechanical broadheads, go for these NAP Spitfire. They fly straight, kill clean and impose catastrophic wound channels. For such a low price, you get 3 broadheads in a pack, which is a huge steal! When you want to target small games like rabbit, turkey or squirrel, tools that deeply penetrate will just ruin your catch! The S.G.H. (aka Small Game Head) by G5 Outdoors is deliberately designed to hunt small game animals. To stun the small game in its tracks, the S.G.H has been designed with unique blade and nose configuration that offers “shock and rip” action. “Shock” is from the blunt tip, whereas the “ripping” action is from curved blades. Also, the blunt tip design is what stops the arrow from burrowing under the sod. 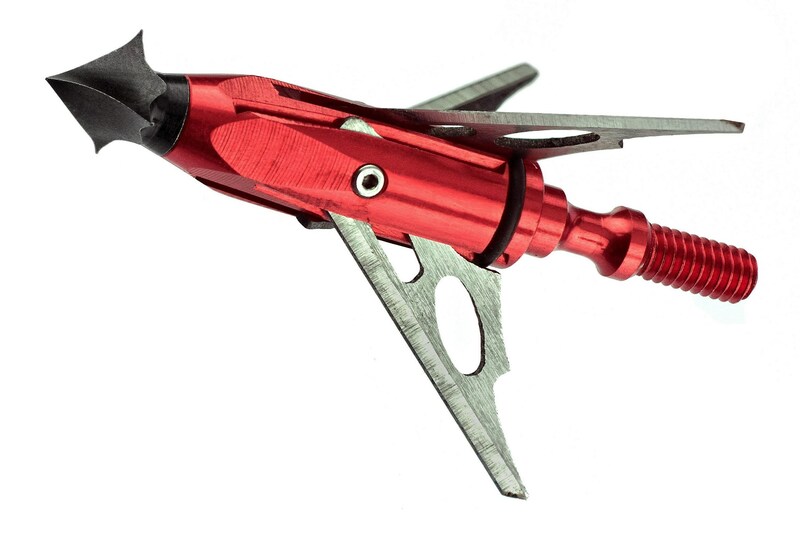 ​Customers swear by the effectiveness of this broadhead to hunt small animals! The hunt is quick, on-point and efficient! Its 1” diameter works flawlessly for small targets without ruining them completely! Users have found its design to be very imposing, it does not stick in the ground at all! G5 Outdoors offers this Small Game Head specifically for North America’s critters like rabbits, turkeys or any of the varmint animals (coyotes, woodchucks, raccoons)! S.G.H is one of the best broadheads for small games and you can use this with any bow viz. compound, crossbow, recurve, etc. at any speed. Muzzy’s is famous for its high quality and reliable craftsmanship dedicated to its products! Exclusive snub-nosed design of the head creates a low-profile look and keeps it firm on the target. Because of the low weight of this unit, it does not penetrate much, but the wide cut provides big blood trails and wound channels! Muzzy Trocar Broadhead features helix blade design for the highest level of accuracy. The one-piece solid-steel ferrule has three 0.035” thick blades making up 1.1875” of cutting diameter. ​Customers have claimed Muzzy Trocar to be one of the best flying broadheads! The broadheads are sharp, strong and fly straight! Some users also stated that the heads do not require frequent band replacements, nor do the arrows get chewed up because of the blade expansion. The flight is consistent and straight! Three-blade Trocar proudly flaunts its high-precision and tough construction. Unique helix-blade design offers positive performance on the target. The solid-steel ferrule and razor-sharp blades result in deep penetration and large blood trails! SpitFire’s big brother MAXX comes with full 1.75” cutting diameter, cut-on-contact style blade tip and 100-grain weight. Such blade design cuts and tears through the fur and meat of the target. SpitFire 60-665 MAXX is best suited for serious bow hunters. As the name suggests, this unit comprises of all of the characteristics of “SpitFire” making it deadlier for your game! Large cutting diameter offers tremendous take-down power, whereas cut-on-contact tip delivers deep penetration! No O-rings or messy rubber bands to worry about! 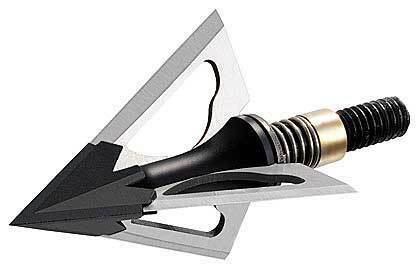 Rock solid offset blades and field-point accuracy are all amazing features of this broadhead. Three diamised-sharpened blades are around 0.02” thick and the micro-grooved aluminum ferrule features large entrance/exit holes, resulting in massive blood trails! ​MAXX 60-665 is said to have field tip accuracy and excellent penetration. The broadhead will cut right through rib bones, leaving a huge blood trail! With excellent performance of MAXX 60-665, you can easily hunt down elk, whitetail, etc. with much power. Size of the head is quite large to cause large wound channels, but its design is lightweight. It is best suited for 40 to 50 yards of distances, anything more than that will cause inconsistency due to the wind! We all know how Muzzy brand is extremely popular for its broadhead designs. Now, here’s an interesting fact. 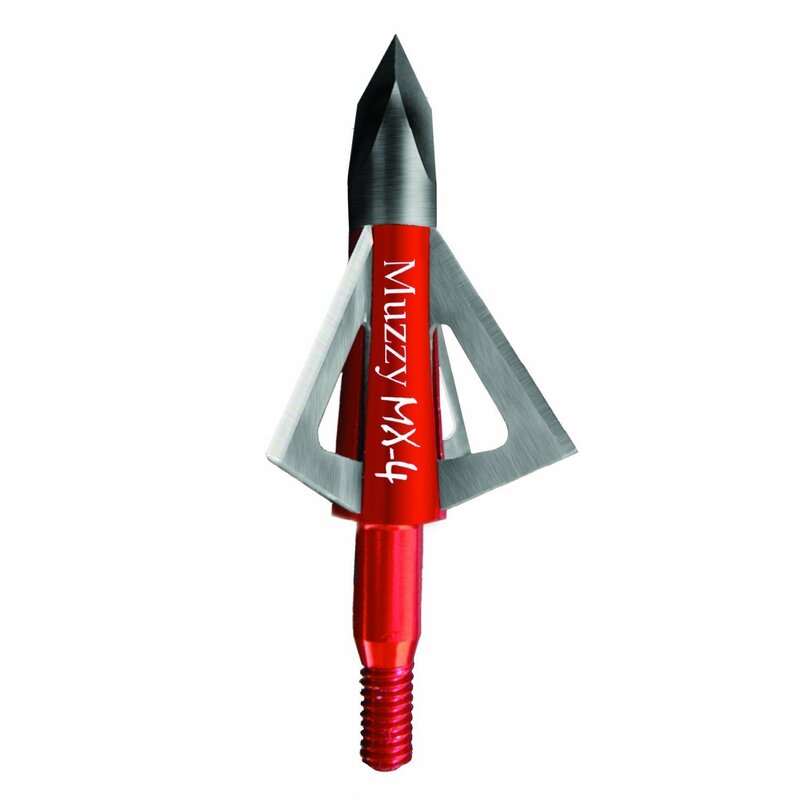 Muzzy integrates with topmost crossbow designers to design its broadheads and attain utmost accuracy thereby. Crafted from high-quality steel, the Muzzy 209-MX4 has a unique short-profile that helps it improve the flight and increase the distance of the shot. MX-4 does not feature standard 3 blades. Instead, it has 4 blades to ensure large wound channels and huge blood trails! The front tip of the broadhead is exceptionally sharp and does not demand frequent sharpening. Talking about its configuration, all of the 4 blades are 0.25” thick and create 1.125” cutting diameter. ​Muzzy MX4 is said to be one of the best fixed blade broadheads in the market today, regarding sharpness. Customers seem to love the razor-sharp and sturdy design of the head, offered at such a great price. These fixed broadheads fly straight and slice through your target effortlessly. Besides, users have also appreciated its durable design and easily replaceable blades! Muzzy MX4 is ideal for advanced crossbow hunters, but its affordable price makes it suitable for beginners as well. With a compact design, it has sharp surgical blades featuring wide cut, short profile, and thick construction. All in all, it is best for those who seek cost-effective crossbow broadheads. 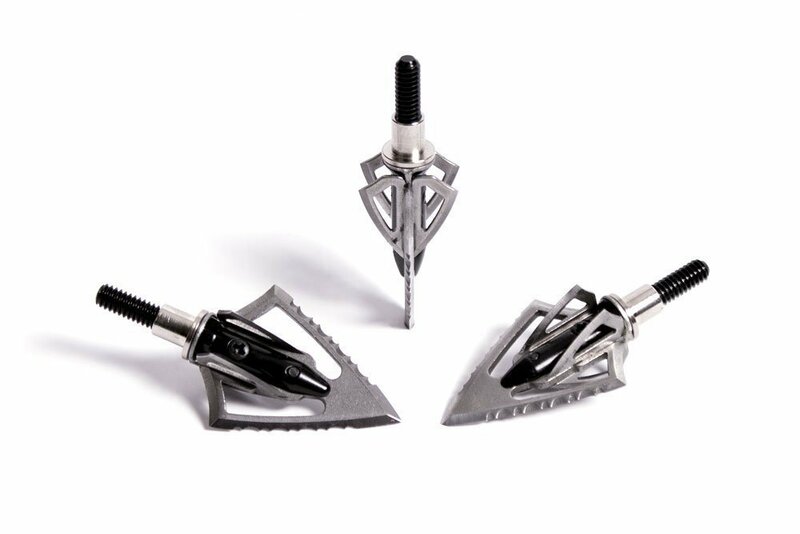 These Grim Reaper mechanical broadheads are optimal for whitetail-sized games and high kinetic-energy bows. Three blades open independently of each other, which is just perfect for quartering shots. Flight of these crossbow broadheads is exact and leaves behind some severe blood trails! Huge head design forms a large cutting diameter, but the penetration is less as compared to small broadheads. The Whitetail Special comprises of three 440 Stainless steel blades with 2” cut, each being 0.035” thick. A spring collar blade retention system prevents the blades from deploying during flight. The product comes all-included with a practice broadhead of 103.8 grain. ​Users have found The Whitetail Special to be as accurate as field points! 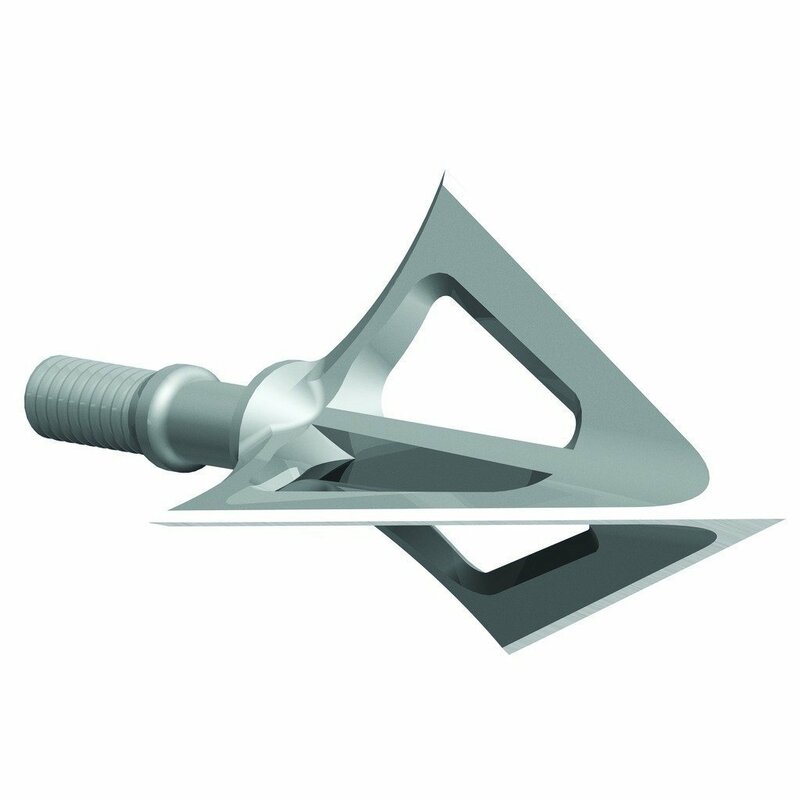 Broadhead in itself is tough and sturdy with Trocar tip that slices right through the bone of the target. It is a complete pass-through broadhead that leaves devastating entrance and exit wounds. 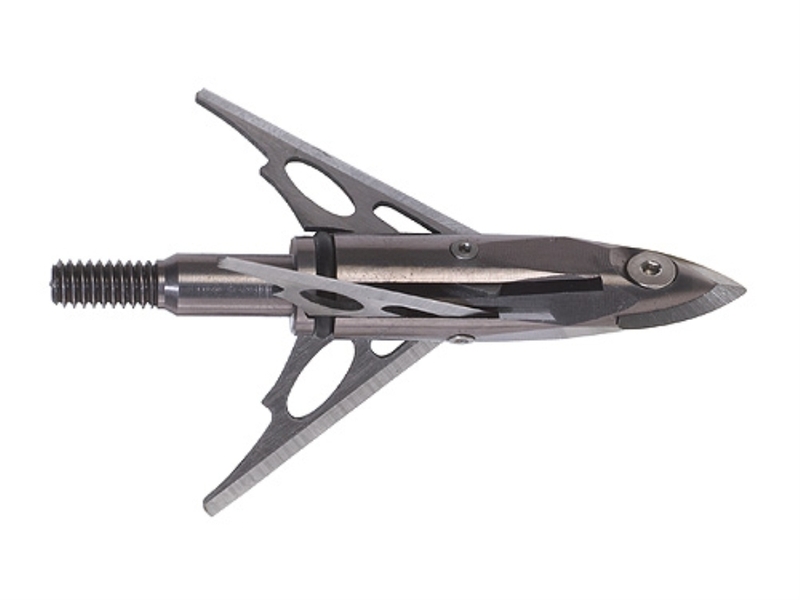 Grim Reaper mechanical broadheads have a large cutting diameter and allow for the rapid kill. No need to worry about messy rubber bands. These broadheads penetrate viciously. As the name suggests, The Whitetail Special with its razor-sharp tip is deadly for whitetail sized games! Featuring a large 2” cutting diameter, the Swhacker 100 grain proves to be the best mechanical broadhead to take down large bucks or elks. Expandable blades open up swiftly and the sturdy carbon steel field tip delivers clean and massive entrance and exit wounds. Now about the construction, the crossbow broadhead has been made from anodized aluminum ferrule integrated with a hardened high-carbon steel point. There are 2 razor sharp blades with 0.032” thickness each and both blades create a massive 2” cutting diameter! ​Swhacker mechanical broadheads stand out from the rest of the broadheads regarding its unique blade design, say customers! There are 2 separate sets of cutting edges, one edge cuts through the hide, bones, hair, etc. and the second set of edges (main blades) open up directly in the body cavity! And so, the users love how the main blades remain razor sharp for a long period. 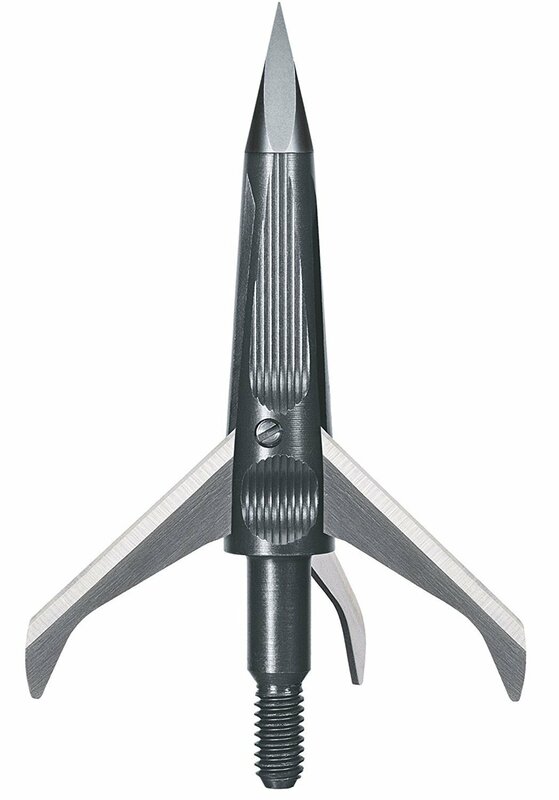 Swhacker crossbow broadheads feature a unique design of the blade, providing two separate cutting edges! Swhacker is tough enough to slice right through the hides and the main blade then expands in the body cavity. No doubt, Swhacker is the best mechanical broadhead to hunt down large animals like elks, bucks, etc. Flaunting 100% stainless steel construction, the G5 Outdoors Montec is one of the best fixed blade broadheads that gives maximum penetration and devastating kill. The blade angle is exclusively designed to endure repeated deep penetrations. One-piece metal injection molding construction does not require replacements or maintenance so often. The fixed broadhead has a simple design and all you got to do is screw on and shoot! Strong tapered blade design of the Montec allows you to easily re-sharpen it when it dulls out. Given its durability and strength, we can say, it is one of the best fixed blade broadheads in the market. ​G5 Outdoors Montec fixed broadheads do not fail to impress advanced hunters. Seeing the price point, customers feel these broadheads are pretty sturdy. They shoot amazingly well, almost like field points. Indeed, G5 Broadheads are valuable investments, say users. With its cut-on-contact style tip, any target will be down in no time. Montec fixed broadheads boast a foolproof design with its strong one-piece all-steel construction and 100% spin-tested precision. Offering 1” to 1.125” of cutting diameter, this high-performance broadhead will certainly appeal hard-core hunters! Some of you might feel the cutting diameter is too small, but it shouldn’t matter if you shoot in the vitals of the game. You can experiment with different combinations of blade and tip to suit your hunting needs. For example, for high kinetic energy bows and strong force, opt for the mechanical broadhead. That’s because, it will give better penetration and pass through hair, flesh and bones completely. On the contrary, for low poundage crossbows and sufficient flesh penetration, go for cut-on-contact tip fixed broadheads. ​Depending upon your style of shooting, you can choose from wide range of grain weights that are available. Mostly, the grain weight of broadheads ranges from 90 to 150 grains. And, the best broadheads are those that have 100 to 130 grain weight. Opting for broadhead with two main blades seems to be more logical, than going for four main blades or two blades/two bleeders. It totally depends on your choice. The more you keep it simple, the more it’s effective. Some people prefer four blades for large cutting, while others find two or three blades to be sufficient. It’s your call! 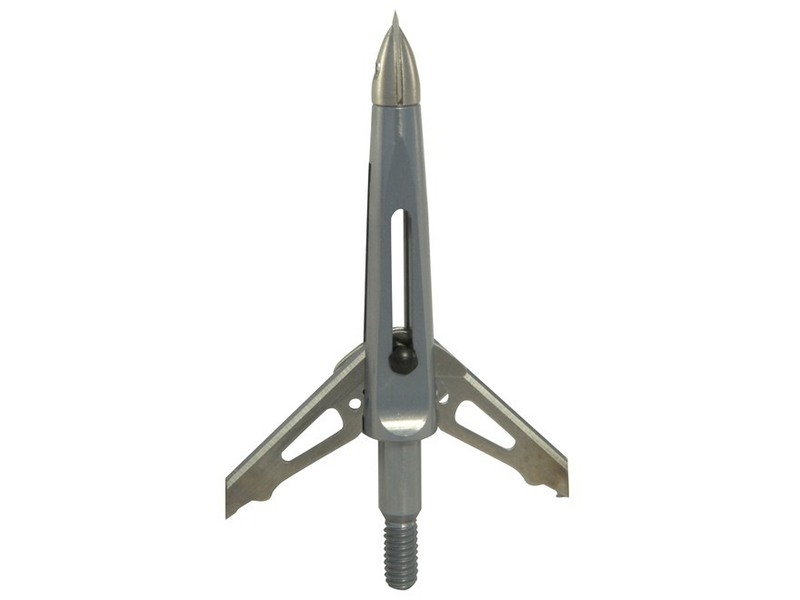 Aluminum or stainless steel or a combination of both make a rock solid and durable broadhead. Additionally, carbon steel material is also used to craft sharp and sturdy broadheads. But, CS broadheads are prone to rust and degradation with time due to its iron composition. Another important factor to consider here is whether the broadhead has single-piece construction or not, as it affects its endurance. Size of the broadhead decides how much force is required for it to penetrate effectively. For low draw-weight bows, compact-sized broadheads will be sufficient to penetrate deep into the game. Larger blade broadheads are optimal for large-sized animals, as they create massive cutting diameter and leave huge blood trails to follow! You need to strike a balance between penetration and cutting diameter. Large cutting diameter with poor penetration will do no good! Similarly, a broadhead that passes fully through the target, but does not leave a good hole, is not desirable as well! There’s no such thing as ideal cutting diameter. You need to choose it as per your hunting needs. Say, if you choose a head with 1” cutting diameter, it must have at least 4 blades to punch a gaping hole. Blade sharpness is paramount to hunting success. The most common thing that obstructs penetration is dullness of the blade. If the blades are dull, they will become even duller with time. And, there will be no blood loss. So, choose wisely. ​1. Should I choose 3-blade or 4-blade broadhead? It completely depends on your personal preference. 4-blade heads are well-balanced and thus, have true flight. Whereas, 3-blade heads spin better and cover larger distances. 2. Which broadhead is suitable for angled shots? Fixed broadheads are good for angled shots, but for greater control over the shot, go for mechanical broadheads. The mechanical head will provide bigger wound channels and massive blood trails. 3. Which is better: Fixed Broadhead or Mechanical broadhead? Different size of animals requires different broadheads. You also need to consider weather conditions before choosing any. Mechanical broadheads might be better for windy conditions, whereas fixed broadheads are better for backcountry applications. To wrap it up, we think both fixed and mechanical broadheads have their pros and cons. Out of these, picking anyone completely depends on your hunting style, preferences and bow specifications. If you ask us, G5 Outdoors Montec is the best fixed blade broadhead, given its simple construction, deep penetration, and devastating kill. 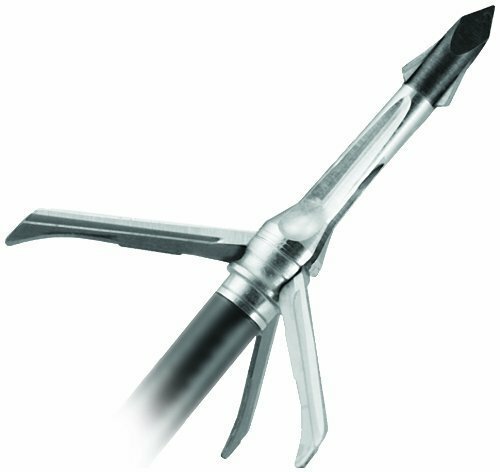 As for best mechanical broadhead, Swhacker 100-grain broadhead is just deadly with its 2” wide cut and razor-sharp steel blades!